Change Of Our Lives is a new Australian film commissioned by Cancer Council NSW in association with Information and Cultural Exchange (ICE), and funded by the Cancer Institute NSW. 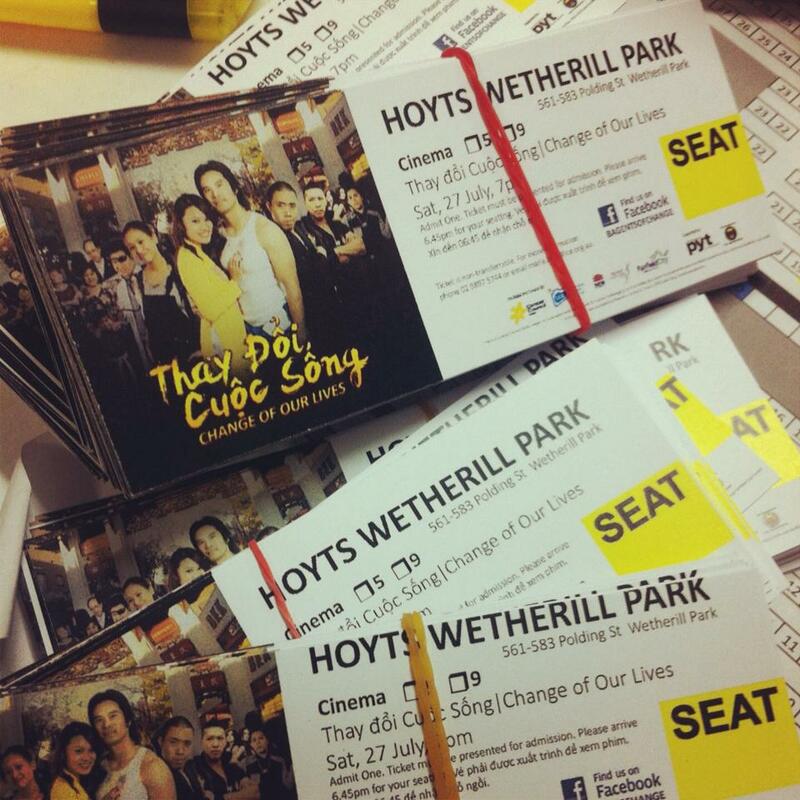 The film was made locally by Vietnamese youth from South Western Sydney. The film will be premiered on Saturday, 27 July at Hoyts Cinemas, Wetherill Park. Change of our Lives is a 60-minute film in soap opera format and utilises the genre of comedy and drama to demystify hepatitis B, it’s myths and misconceptions. There is a high incidence of hepatitis B amongst the Vietnamese-Australian community and Cancer Council NSW has tackled the issue in collaboration with Vietnamese communities’ through creative storytelling. Change of our Lives taps into family, friendship and love connections. Cancer Council NSW hopes to open up community dialogue and to decrease the prevalence of hepatitis B through education. From scripting to film production then the big screen, Change of our Lives has been informed by the community and community cultural development (CCD) processes. Over four months, youth were trained up in all aspects of filmmaking by local filmmaker Maria Tran, from Information and Cultural Exchange’s (ICE) Screen Cultures program. Local health professionals and three generations of community members poured their own experiences into the creative work. The cast and crew of the film comprise mainly of young Asian Australians from diverse backgrounds of Western Sydney, many of whom had never worked in film. Over 100 youth were engaged in the film-making process with the Vietnamese community members, health professionals and Cancer Council NSW. “Creating a local soapie that is innovative allowed us to play with a popular format as well as find ways to get important messages across to our community” says Maria Tran, creative producer/ director. “We wanted to build compelling characters, intertwining plots that showcase our region in the most exciting and edgy light” she adds. Tickets are free and limited, so advance bookings are essential. There will be a networking session prior to the screening, where the behind-the-scenes documentary will be launched at 6pm. This showcase is open to the public. Posted on 25/07/2013, in Uncategorized. Bookmark the permalink. Leave a comment.